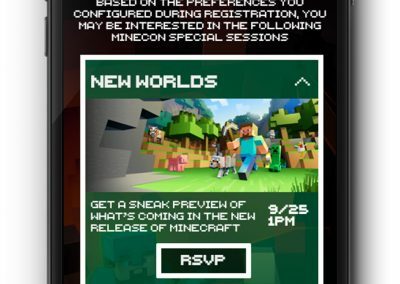 Minecraft/Mojang approached me and Envy Create about ways they could better engage their fans and customers before, during and after their big Minecraft conference (Minecon) in 2016. 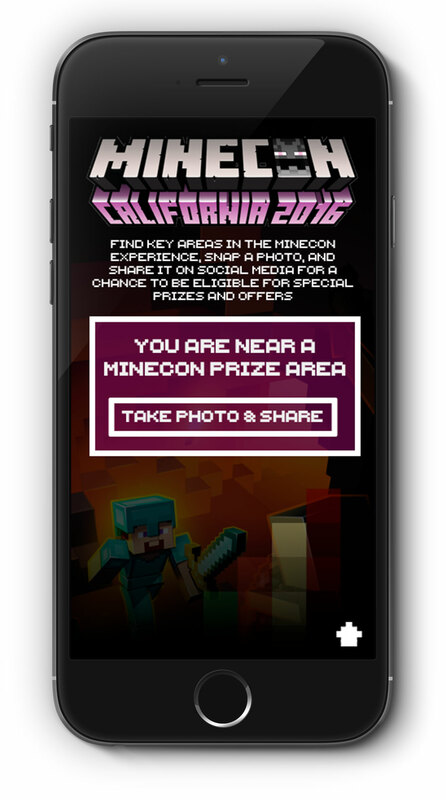 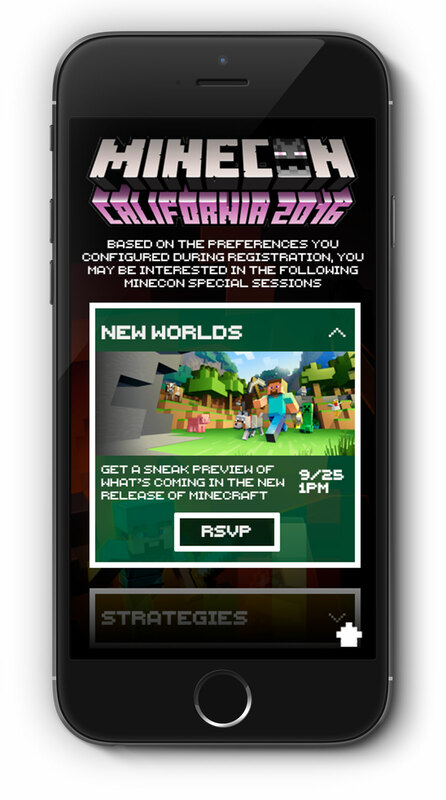 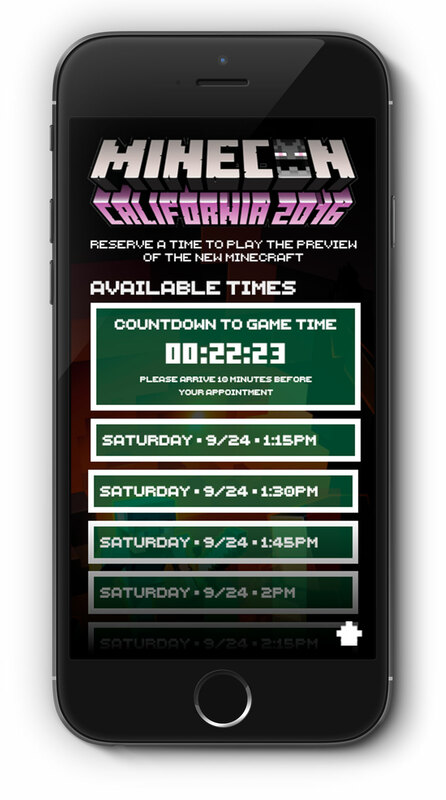 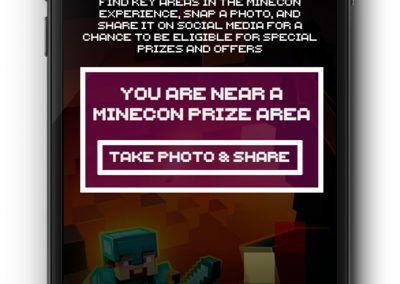 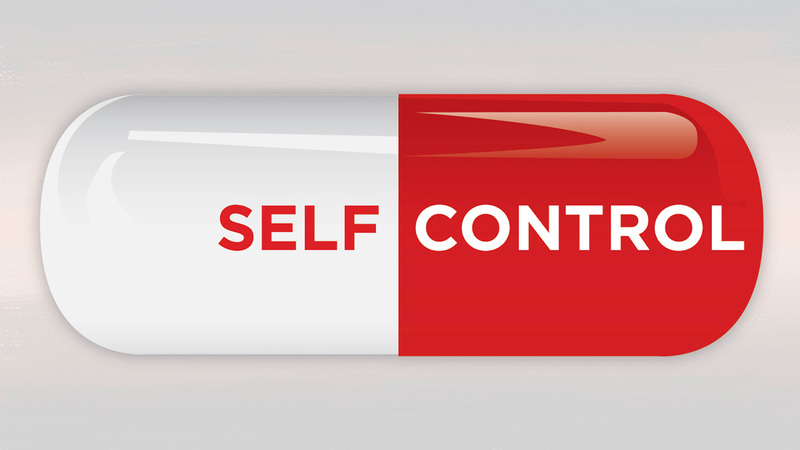 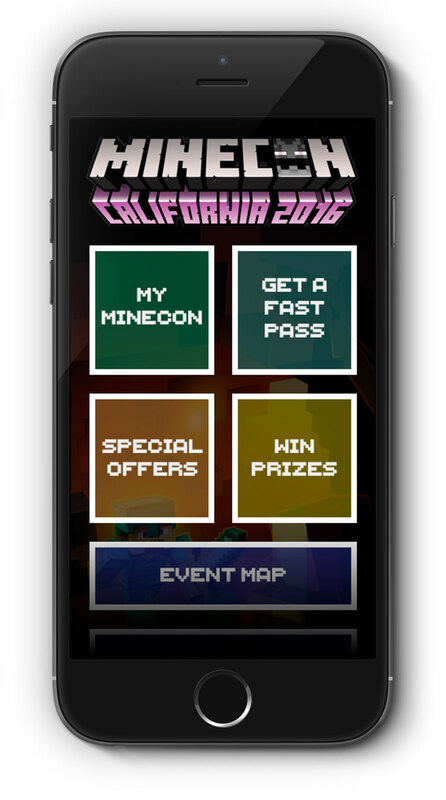 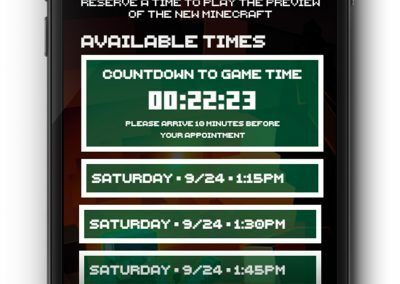 I designed and prototyped this solution that would allow users to pre-register for the event, schedule times to play and have other Minecraft interactions, and incentivizes them to share images and messages on social media for a chance at VIP treatment at the conference. 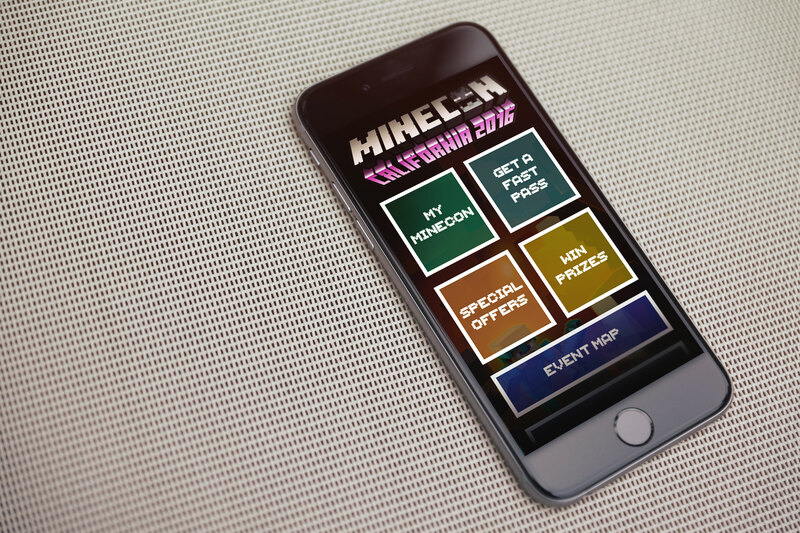 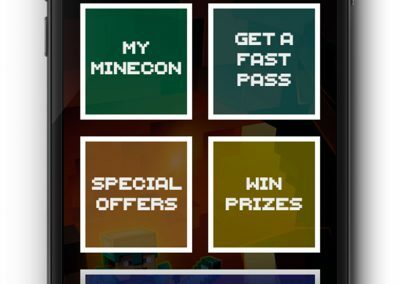 Although the conference lasts only a limited time, the app provided the means for Mojang to continue to have meaningful interactions with attendees even after it was all over. 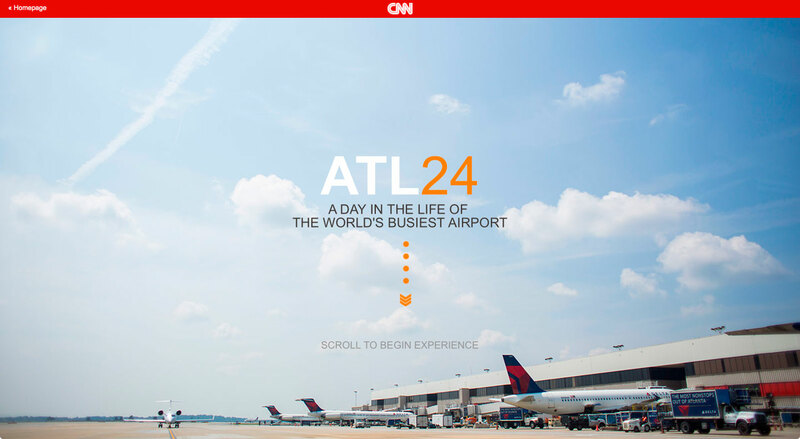 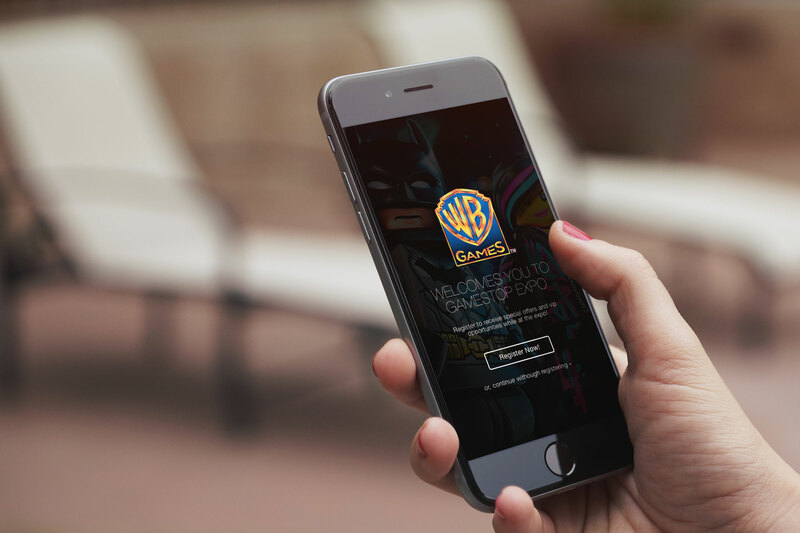 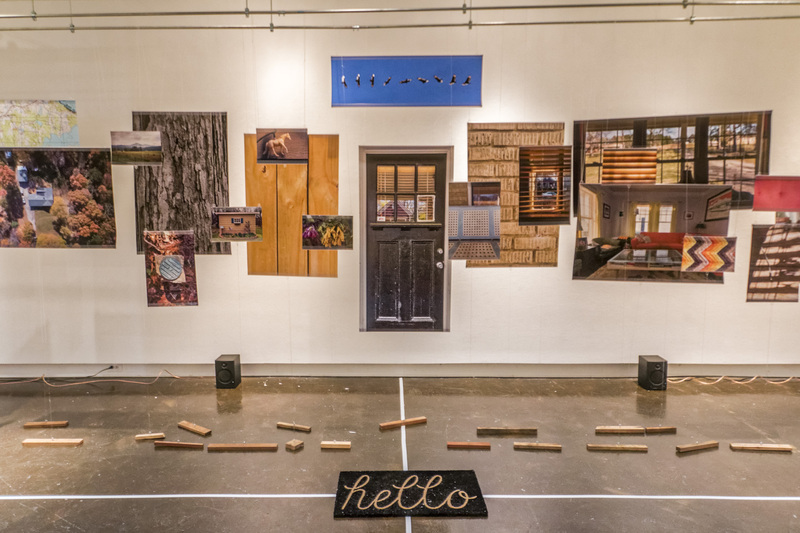 We proposed using Bluetooth-Low-Energy (BLE) beacon technology within the environment to supply location-specific interactions throughout the space: social media share opportunities, nearby product information, etc.